My Father Cigars first gained mass attention in 2009, after claiming an impressive #3 spot in Cigar Aficionado’s Cigar of the Year awards. The brand has since achieved many more awards throughout the industry, though many still view the original My Father cigar as their tour de force - a true classic. 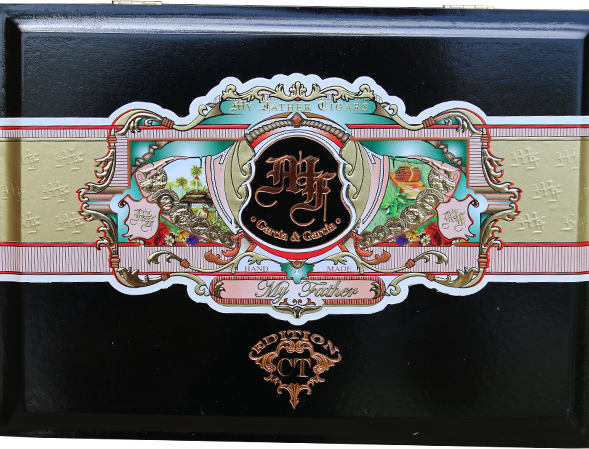 Building on the success of this famed blend, My Father Cigars has finally delivered what fans have been asking for years - a Connecticut variant. Now, with the My Father Connecticut, cigar enthusiasts get to experience this impressive blend with a more delicate, refined approach. For the first time, My Father ventures to incorporate an Ecuadorian Connecticut wrapper - the interior blend remains largely the same, with a few tweaks to accommodate the more elegant wrapper leaf. Included in the blend is a special viso leaf that has been cured for 3 years to give the smoke maturity and depth unlike your average Connecticut cigar. Expect a mild-medium body with full flavors of sweet tobacco, walnut, white pepper, green tea, and sweet, creamy butter. Another fantastic cigar from one of the industry’s best manufacturers.